A semi-automatic system for independent parking, making the best out of the space by stacking cars on pallets perpendicular to or parallel with a road. It can be a suitable addition to available parking space outside, improving the parking capacity on the same site by 40 to 60 %. Suitable for indoor use only. The systems can be above ground, in ground, and combined. It is also suitable for subscriber parking and park timing. The most cost-efficient parking solution, increase in parking slots, noiseless operation, easy to maintain and operate. 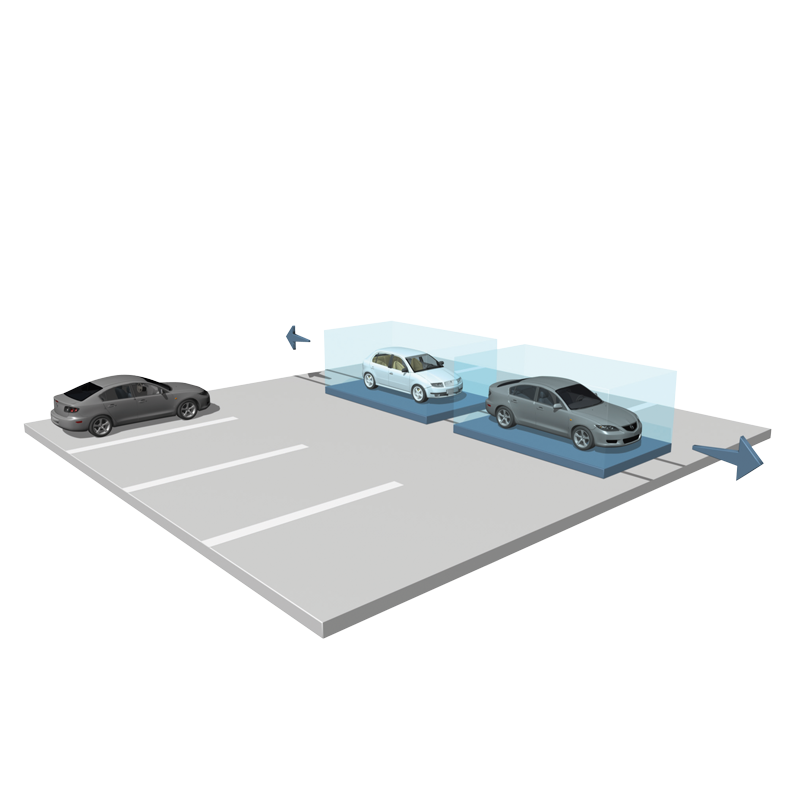 The system can make use of the space available between pillars where no parking is possible on conventional terms, and in access rows for conventional parking arrangements. A semi-automatic system for independent parking with the best cost efficiency. Cars are placed side by side on pallets perpendicular to or parallel with a road. 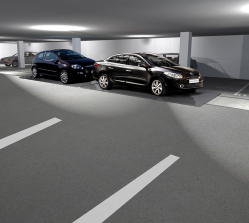 Residential blocks and multi-purpose buildings, office buildings, hotels, detached houses, renovated and reconstructed sites: enhanced parking facility for existent buildings, in particular in cellars.. The pallets can be crossed lengthwise, but not crosswise. They move in embossed rails.